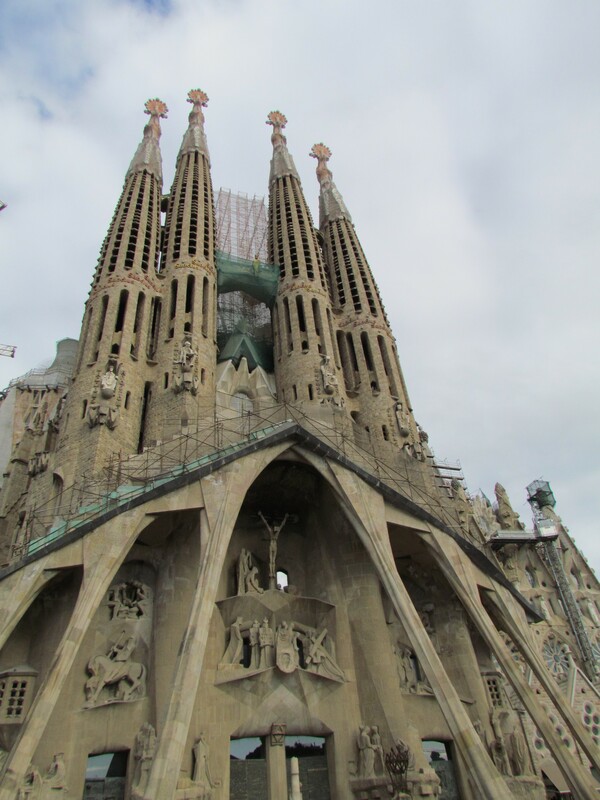 Barcelona has been a favorite city of ours for a long time now. On our previous trip (2005 – 2006) we visited it twice. This time around we also visited it twice. There is a lot to see and do here, and it has become even more popular with tourists. The winters are very mild (by Canadian standards) and, with its sandy beaches and famous sites, it is an attractive playground. 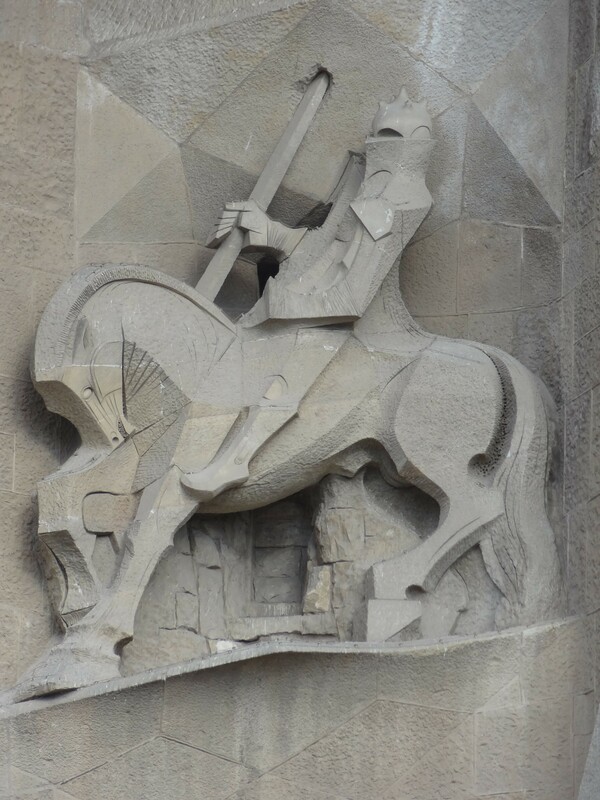 It is also home to many of Gaudi’s works. He is an famous architect who was definitely ahead of his time (peruse the images below to see his wonderful and strange work). Oh, and the food is delicious– especially for you seafood lovers! However, Barcelona isn’t perfect. Unfortunately the city has a reputation for being home to too many pickpockets. All tourists are warned to keep an eye on their belongings. Now the local police patrol the Las Ramblas faithfully. This change has cut down on the number of thefts (by almost 30% according to one local we talked to). Yet we witnessed two separate incidents and one of those happened to us! One day while walking along the La Barceloneta promenade we saw a cyclist grab a business man’s briefcase! The man chased the cyclist and got his case back. The man was so angry he actually slapped the thief several times. A bystander lectured the thief who eventually rode off. This incident shocked us as it was early in the day and the beautiful walkway had several people on it. Just a few days later, while we were exiting the metro via the stairs, three young men brushed up against us while we climbed upward. I commented to Wade that they didn’t need to “get so close to us” when suddenly he started yelling at one of the men. I have never seen him so angry. At first he said, “get your hand out of my pocket!” Then his voice got even louder when he added, “what do you think you are doing?! !” By this time he was in the thief”s face. Wade is 6’3″ and the thief is 5’8″. Do the math … scary, right? He also said, in a seriously peeved voice, “you are NOTHING but a thief! !” An older man came over and started giving the young men the gears too–but in Spanish. They quickly exited the metro using another set of stairs while the older gentleman told us that “these kind of people give Barcelona a bad reputation.” At least they left empty handed! Wade has always carried his wallet in the front pocket of his jeans–I learned that he did this because it makes it harder to steal a person’s wallet. Even though this happened we are not afraid to travel. You just have to travel smart and hope for the best. It certainly won’t keep us from visiting Barcelona again. Hopefully, after you see our pictures, you will want to visit the city too! Just remember this: gents, keep your wallet in your front pocket; and ladies–keep your valuables in a messenger bag or a purse that has a front flap covering the pockets. Also make sure the strap is long enough to be worn over one shoulder so that the bag may rest upon the opposite hip. A bag worn like this stops both pickpockets and purse snatchers. Never store anything important in the outer pockets of your backpack either. They can get your wallet out of those pockets too. Usually they use a distraction to take advantage of you, so keep your wits about you. More importantly, keep on traveling! New places bring you new insights about yourself and the world around you. Just travel smart. This is the most unusual church we have visited. 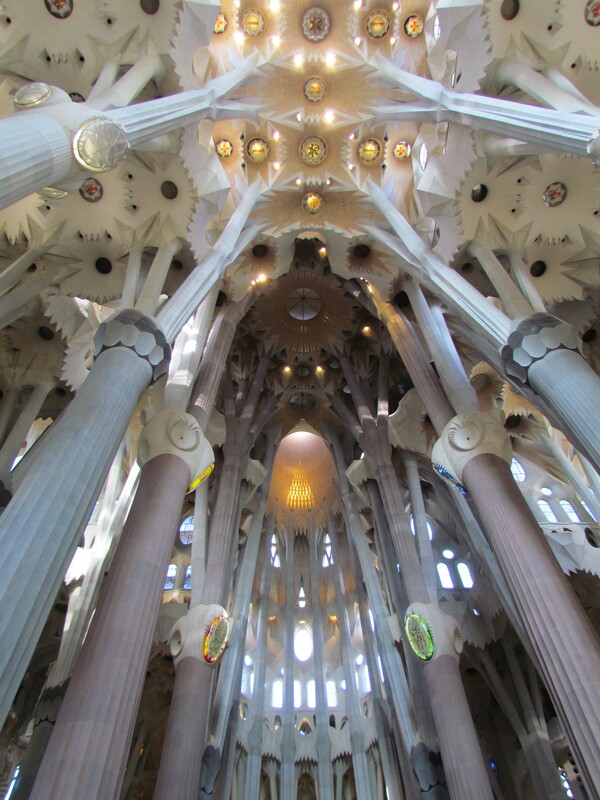 Gaudi designed it and they have been working on it for over 100 years. This is one of our favorite architectural features on the church. The church interior is truly unique. The columns are supposed to look like tree trunks. Otherworldly isn't it? 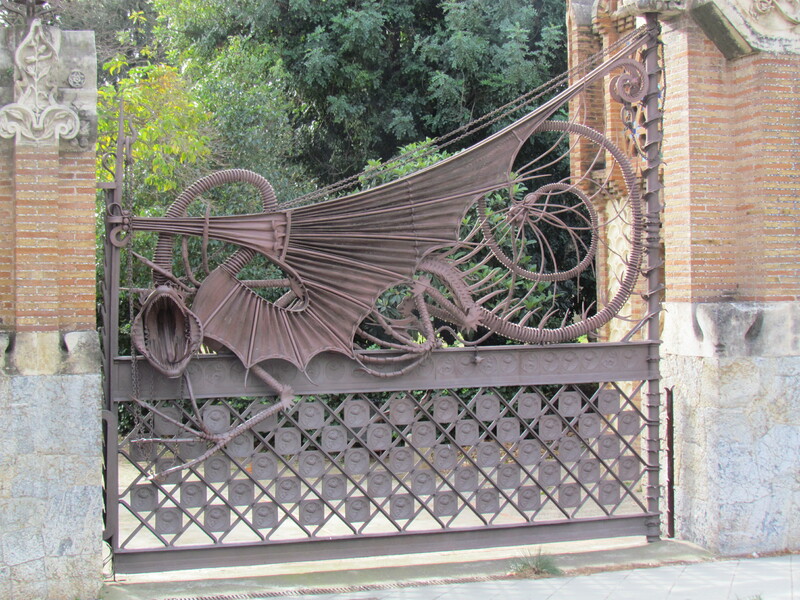 Gaudi designed this iron gate for a wealthy count named Güell. Now the buildings and grounds belong to the Catalonia University. 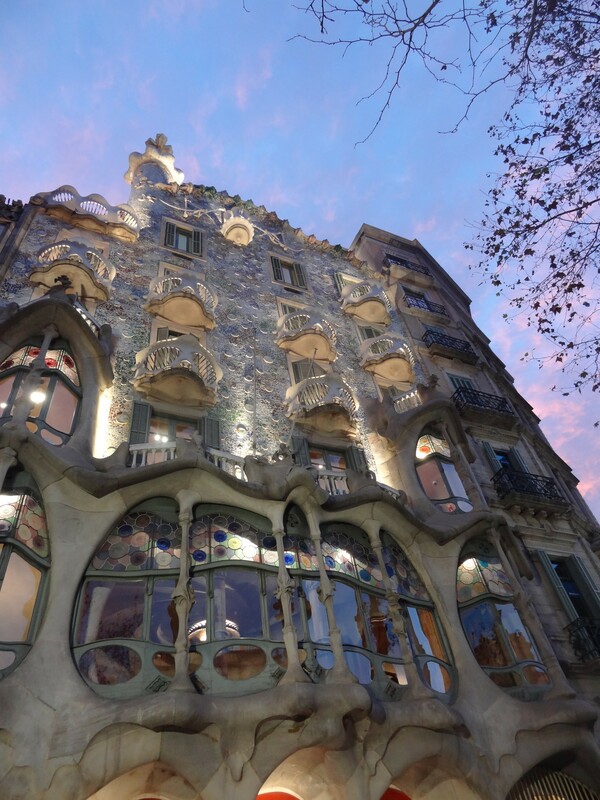 This building was also designed by Gaudi and is an excellent example of modernist architecture. It also happens to be Nona's favorite! 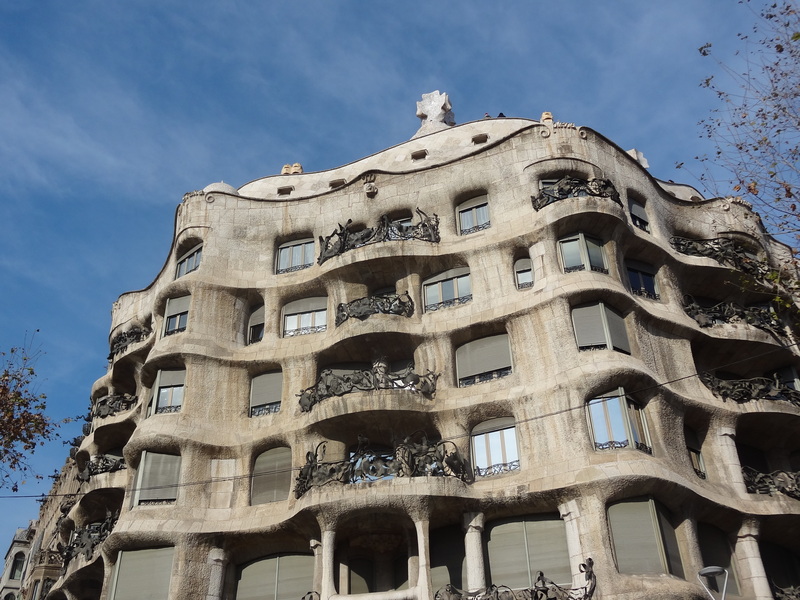 Another building designed by Gaudi. Originally it was meant to be office and apartment spaces but people found the rooms to be too odd in terms of their shape. It's a museum now! The balcony railings are made of iron and are rather unique. We hopped a boat and toured the coastline. 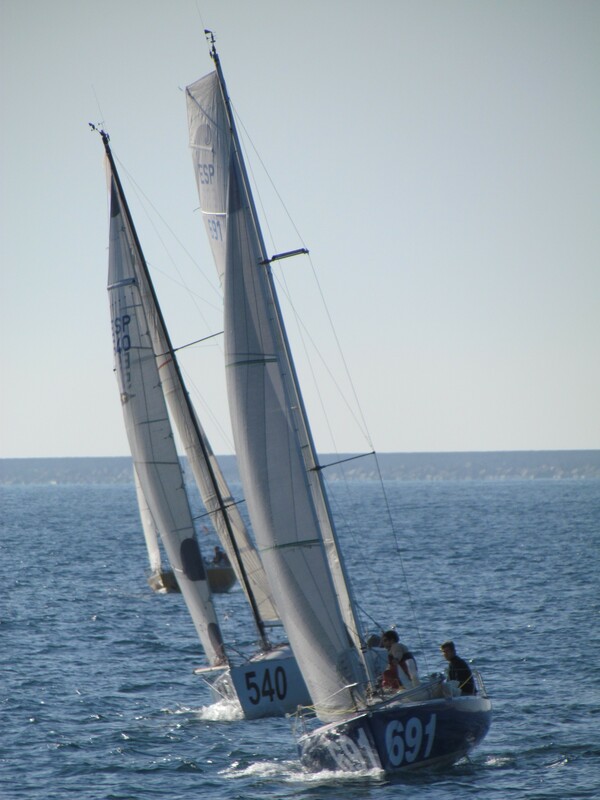 It was a beautiful day and several people were sailing. 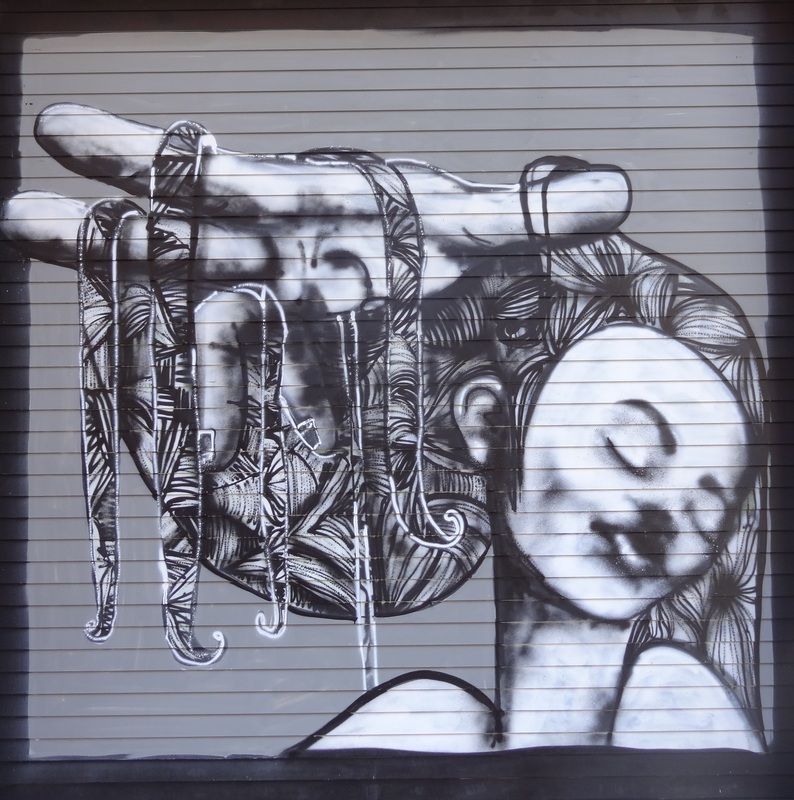 On a walkabout we found this interesting example of street art. The city has a lot of graffiti; some shops, like the beauty salon where we found this example, hire street artists to make their shop doors more interesting. P.S. 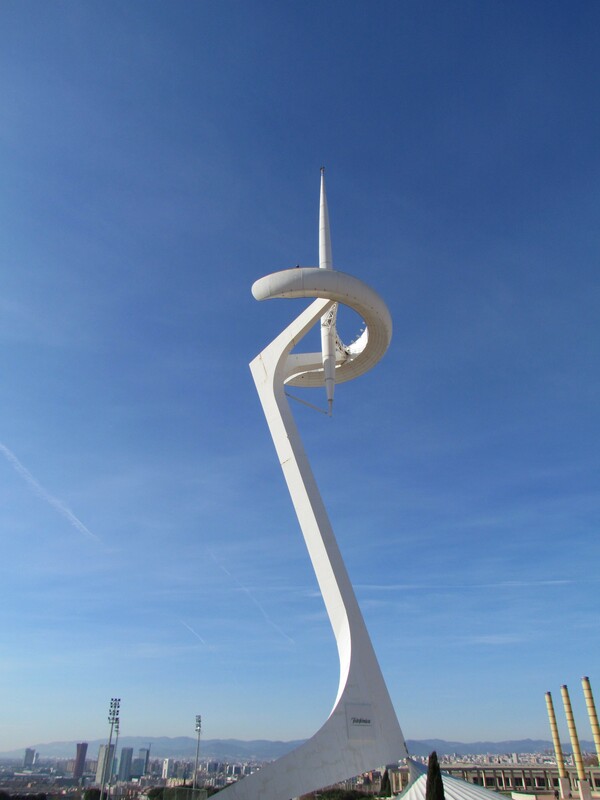 Seeing these pictures again, makes me want to return to Barcelona!